Liszt wrote the consolations around 1849-1850. Nobody's quite sure where the title Consolations comes from - the most likely explanation is that Liszt was inspired by some volume of poetry or other. Liszt had actually had brainwaves for the Consolations a lot earlier than the year of publication (1850). One of them even dates all the way back to 1844! There are 6 Consolations. Since they're so small they sound best when played end-to-end (the tempo indications also suggest this is the proper way to play them), although a lot of pianists choose to only perform one or two. Out of all of them, number 6 is the most appropriate for performance as a standalone piece. The key signatures hardly change from piece to piece, and in fact remind me of a kind of ABA structural arc (first section E Major, second section D-Flat Major, third section E Major). Andante con moto (E Major) A calm, positive opening, very simple in concept. It leads directly on to the second piece. Un poco piu mosso (E Major) A gentle, floating melody is framed by delicate runs infused with golden, comforting harmonies. The piece's simplicity is deceptive, however... Liszt constantly repeats the melody in different ways and registers of the keyboard. Nonetheless, the sense of delicacy and peace remains constant, despite the sometimes gymnastics requirements of the player. Lento placido (D-Flat Major) A concert favorite, this quasi-night painting sounds very like a Chopin nocturne. Like the other Liszt consolations before it, the third is the very description of delicacy and grace. But there's something more here: a rare beauty made of hope, with echoes of rippling nostalgia. This atmospheric piece has glittering runs, but is still subtle and inviting. 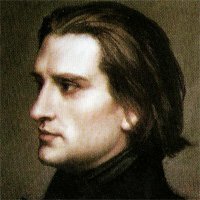 Cantabile con devozione (D-flat Major) The main theme for this Liszt Consolation was created by a Russian Grand Duchess. It's a very calm melody, with a tinge of amateurism in its construction. Again, Liszt takes the melody through different states of harmonic saturation. Andante con grazia (E Major) Now the suite of consolations looks forward to its conclusion: the main bulk of the music is finished. This second last movement has a song-like characteristic. The theme is simple, but the way Liszt handles it is masterful. Allegretto sempre cantabile (E Major) Ah, the "finale"! Liszt takes a simple theme, repeats it three times in gradually more complex fashion, unleashes a zephyr-like cadenza before repeating the theme in the grandest possible manner. Still, the sense of delicacy never leaves this piece. The harmonies are sweet and graceful, and the melody capricious and positive. I highly recommend the version played by Cuban pianist Jorge Bolet. Bolet's measured, rich tone and seemingly infinitely wide dynamic range perfectly fit the honeyed, doll-like nature of the Liszt Consolations. You'll probably also like Liszt's Sonata in B Minor, his dazzling Hungarian Rhapsodies, or the touching Liebestraume.